PERFECT REASONS TO SUBSCRIBE! Save 15% on the newsstand price! Free US delivery to your door! Never miss an issue! PERFECT REASONS TO SUBSCRIBE! 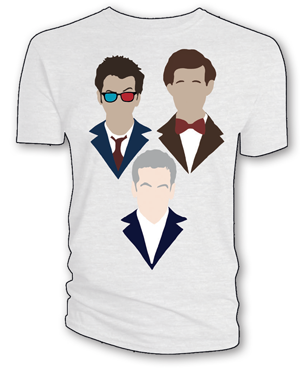 FREE Doctor Who T-shirt! Save 15% on the newsstand price! Free US delivery to your door! Never miss an issue! It’s the start of a brand new year for the Twelfth Doctor – and a brand-new adventure begins!